Miss Palm Beach County Jessica Fernandez and Miss South Florida Fair 2019 Mariluz Cook. Eleven young ladies from Palm Beach, Martin, Broward, Hendry and Okeechobee counties competed for the titles of Miss South Florida Fair and Miss Palm Beach County during the Miss South Florida Fair Scholarship Competition, a Miss America-affiliated competition, on Saturday, Jan. 19. At the competition, Miss America-certified judges selected the winners based on a private interview, on-stage question, formal wear, talent and swimsuit competitions. Mariluz Cook won the title of Miss South Florida Fair 2019 and received a $5,000 scholarship, along with an official Miss America crown and trophy, and a $1,000 cash prize. Cook graduated from Wellington High School in 2015, where she was very involved in student government, the National Honor Society, varsity cheerleading and varsity tennis. Aside from pursuing a double major in communication studies and criminal justice at Florida Atlantic University, Cook works as a sports correspondent for FAU’s baseball and football teams. After receiving her bachelor’s degree this spring, Cook plans to obtain a master’s degree in Journalism and pursue her dream of becoming a sideline reporter for a Major League Baseball team. During her year of service, she plans to continue to draw attention to her platform of “Depression Awareness” through her personal platform “Lend a Helping Hand” in which she seeks to empower her community with resources to assist those who may be struggling with depression. This year, the Miss South Florida Fair Scholarship Competition added the additional title of Miss Palm Beach County. Jessica Fernandez won the title of Miss Palm Beach County 2019 and received a $2,500 scholarship, along with an official Miss America crown and trophy, and a $500 cash prize. Since she was little, Fernandez has been trained in acting, singing and dancing, which led to her passion in performing talent on the Miss Florida Stage. Fernandez is a junior at Florida Atlantic University and hopes to have a career as an entertainment or sports broadcaster. Born and raised in Puerto Rico, Fernandez calls Florida her new home while representing the Hispanic community. In addition, Danielle Ball was the first runner-up and received a $1,250 scholarship; Heather Lee O’Keefe was the second runner-up and received a $1,000 scholarship; and Grace Waldron was the third runner-up and received a $750 scholarship. The fair also awarded a $250 cash award each to Angelina Granitz for winning non-finalist talent and Catherine Schrubb for winning non-finalist interview. Theresa LePore serves as the volunteer executive director of the Miss South Florida Fair / Miss Palm Beach County Scholarship Competition and has been working with the participants for the past couple of months to prepare them for the competition. The competition dates back to the 1950s. 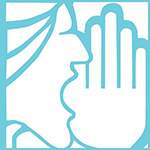 Over the years, the event has provided women with the opportunity to win financial assistance as a means of achieving their educational goals. 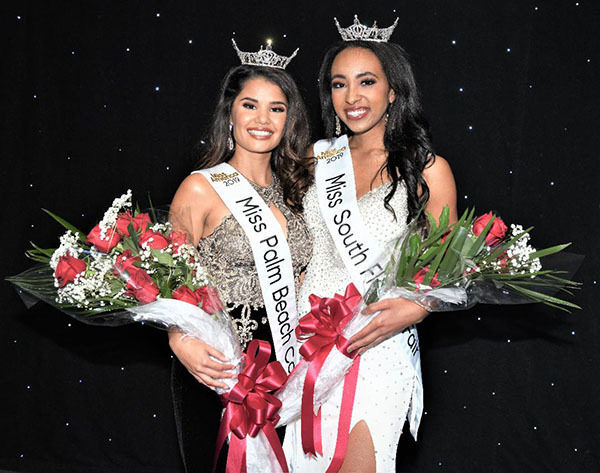 Both Miss South Florida Fair and Miss Palm Beach County will have the extra benefit of carrying her crown further as she advances to the Miss Florida Competition to be held in June in Lakeland. They will have the chance to receive additional scholarship funds and compete for the privilege of representing Florida in the Miss America Competition.